On August 4th, 2011, the U.S. Consumer Product Safety Commission and Health Canada, in cooperation with Build-A-Bear Workshop, announced a voluntary recall of their Love, Hugs,Peace lapel pins due to excessive levels of lead in their surface paints. Surface paints on the lapel pin contain excessive levels of lead which are prohibited under federal law. As of August 4th, 2011, no injuries have been reported. 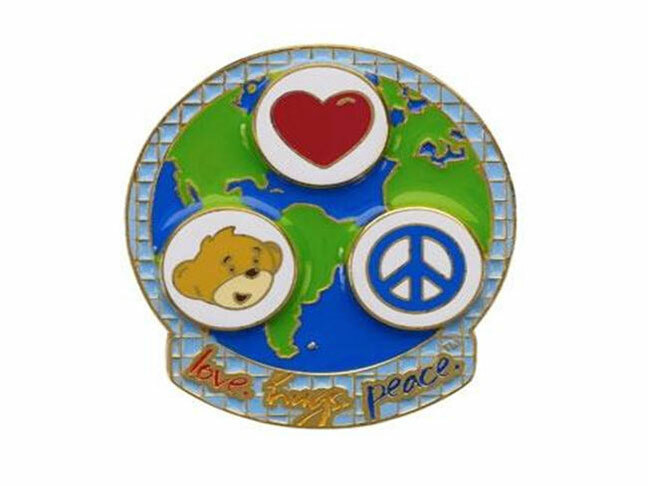 The 1.5 inch lapel pin features graphics of a heart, bear head, and peace sign all positioned in front of a globe. The words “Love.Hugs.Peace.” appear at the bottom of the pin. About 26,500 pins were sold by Build-A-Bear Workshop stores nationwide and online from July 2009 through October 2010 for $3.50 in the US and $4 (CDN) in Canada. What should you do if you own one or more of these products? Consumers should stop using these recalled products immediately and return the lapel pin to any Build-A-Bear Workshop store to receive a $5 store coupon. If it is not possible to return the pin to a store, you can contact the Build-A-Bear Workshop for alternate instructions on receiving a refund toll-free at (866) 236-5683 between 8 a.m. and 6 p.m. CT Monday through Friday, between 9 a.m. and 4 p.m. CT Saturday, or visit the company’s website. Additionally, Health Canada’s press release is available here. Consumers should be aware that it is illegal to resell or attempt to resell a recalled consumer product.